★★★★☆☆ Isn’t perfect, but big improvements as of late. Spend less time fiddling with keys when unlocking your door; instead, unlock your door with an app on your smartphone; better yet, have it unlock as you’re walking up to it. August Smart Locks allows you to do just that. Well… sometimes. I got my August Smart Lock in October 2014 and have been using it ever since. I love it, and I hate it. So what’s there to love and hate? Here’s my first-hand review of August Smart Lock and my 7 months of using it. August Smart Lock is dead simple to install just as long as it’s compatible with your existing deadbolt lock. (it has a compatibility list which tells you whether your lock is compatible. 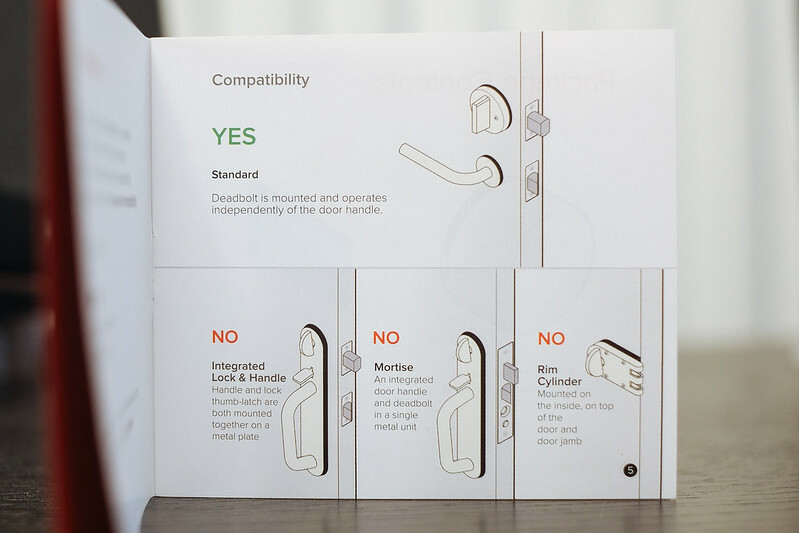 Generally if your deadbolt mount is independent of your door handle, it’s probably compatible, but you may want to double-check to be sure) The installation guide provides an easy-to-understand compatibility diagram. 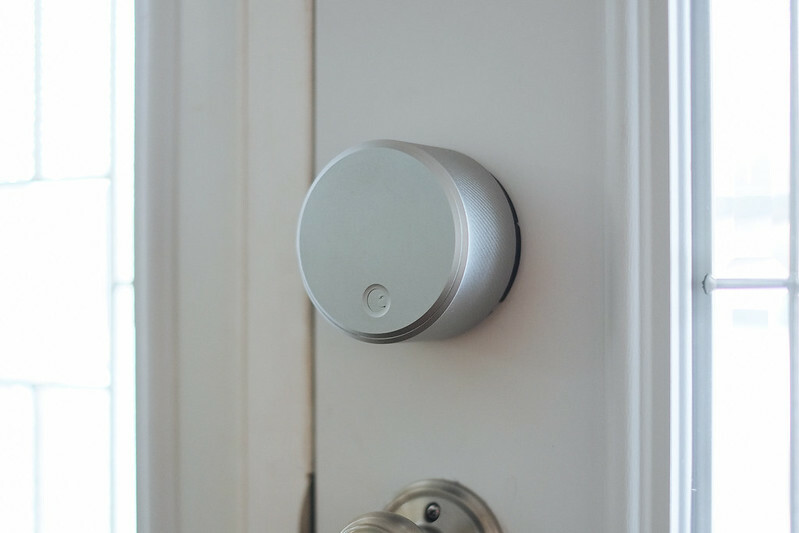 Unlike many smart locks, which replace your entire or most of your deadbolt lock system, August Smart Lock replaces just the interior thumbturn assembly. It took me 10 minutes to install it. 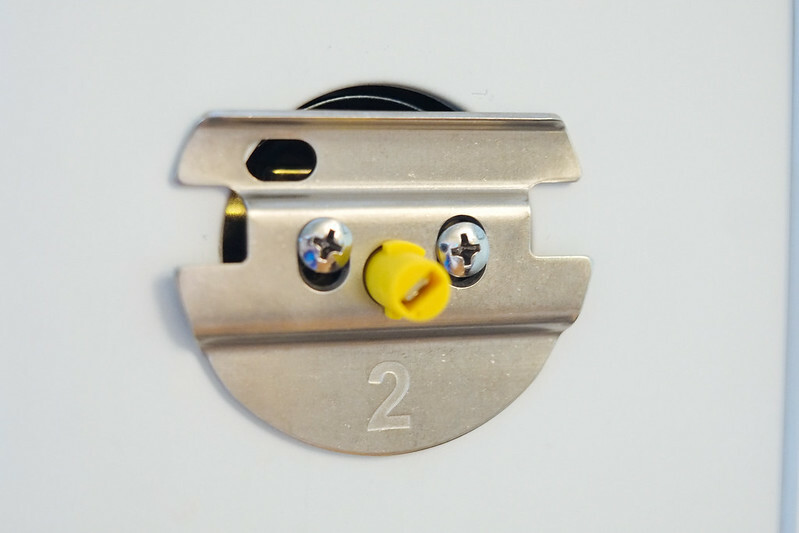 Installation requires you to (1) unscrew and remove your interior thumbturn assembly, screw on proper mounting plate, (2) put on the proper adapter, (3) slide on the lock and close the clips to secure it. Based on the kind of lock system you have, you’ll only use 1 of 3 mounting plates and 1 of 3 adapters that it comes with. Finally, turn the lock on by removing the faceplate and removing the plastic tabs from the batteries; then put the faceplate back on. Setting up and connecting August Smart Lock to your device is simple as well. Download and open the August app for iOS or Android (list of compatible phones). It’s evident that the user interface and experience was well thought out. Once you’ve signed up for an account and signed in, it’ll scan for your lock(s) and guide you through setting it up. The August app allows you to easily lock or unlock August Smart Lock with a single tap once you’ve selected the lock—It allows you to add and add multiple locks. The user interface is well designed and makes using the app a pleasant experience. 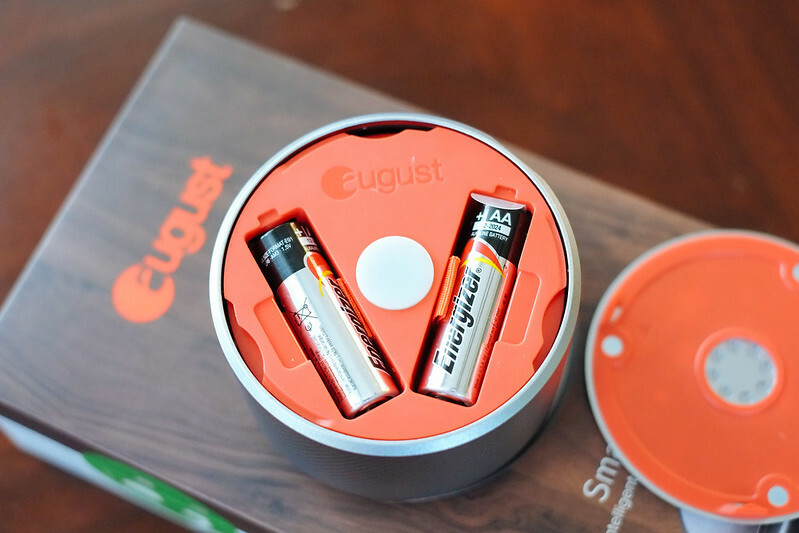 August Smart Lock requires 4 AA batteries (included) and relies on Bluetooth Low Energy (BLE) to pair with your phone. Since it relies on BLE instead of Wi-Fi, it says it can last almost a year before having to replace its batteries1, and during a power outage you’ll still be able to connect to it (assuming your batteries aren’t dead either). You’ll also get a reminder when batteries get low. Since August Smart Lock doesn’t replace your entire lock system, if you forget your phone you can still lock or unlock with your original key from the outside. Since August Smart Lock only connects via BLE, the only way to control it remotely is to buy and connect August Smart Lock to an August Connect. Alongside the great user experience, it provides some notable features as well. 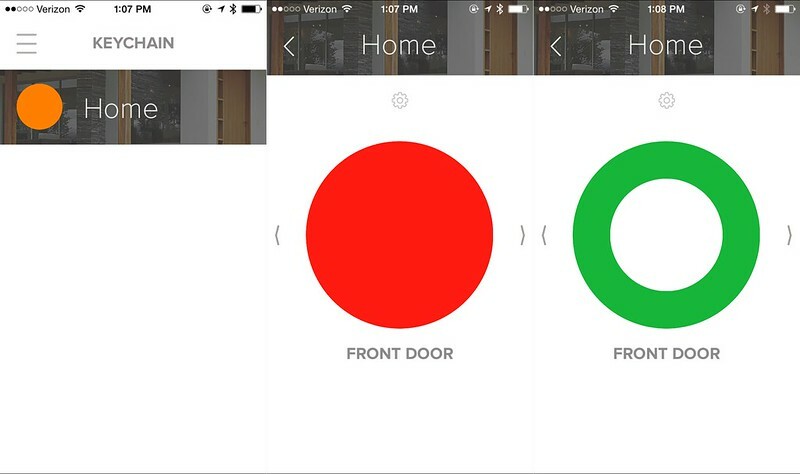 If your deadbolt isn’t properly aligned with the door frame (you have to push or pull your door to turn your lock and it engage), that’ll still be a problem when locking your door with the August app—you’ll still have to physically push/pull your door while using the app. If that’s the case, you may want to have your door adjusted so it’s properly aligned. Auto-unlock senses when you’re approaching and unlocks the door for you in the background so you don’t have to reach for your phone to unlock August Smart Lock. It uses your phone’s location to determine when you’ve left home and when you’re on your way back. Everlock automatically relocks your door shortly after you’ve unlocked it (that’s the official description of it in the app). I’ve also read that it also locks the door behind you shortly after you leave the house. I don’t use and haven’t used Everlock (explanation further down in the review); therefore, I can’t elaborate more on the feature. The app allows you to add users you want to grant access to (the user would have to have a phone compatible with August Smart Lock). 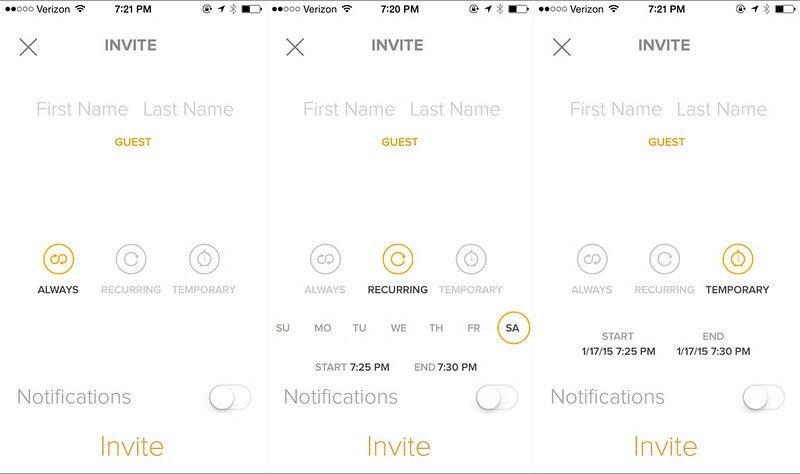 For each user, you can set them as an owner or a guest, and for guests you can grant them permanent, temporary, or recurring/schedule-based access. User access can easily be changed or revoked. 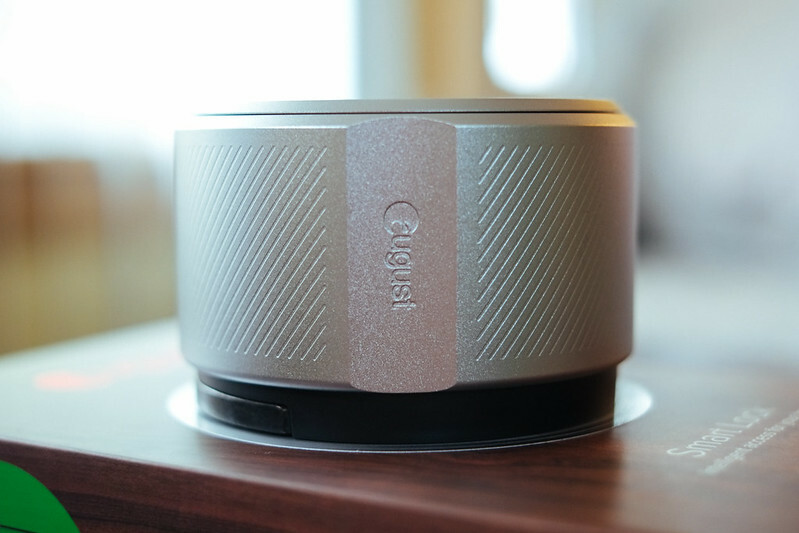 It was announced at CES 2015 that August Smart Lock would work with Nest—you can see the temperature at home from the August app, and also allows August Smart Lock to tell Nest Thermostat to start warming or cooling your house when you unlock your door or set Nest Thermostat to Away when you lock your door on your way out. This is just the first step into a world of possibilities with other smart devices, appliances, and services. 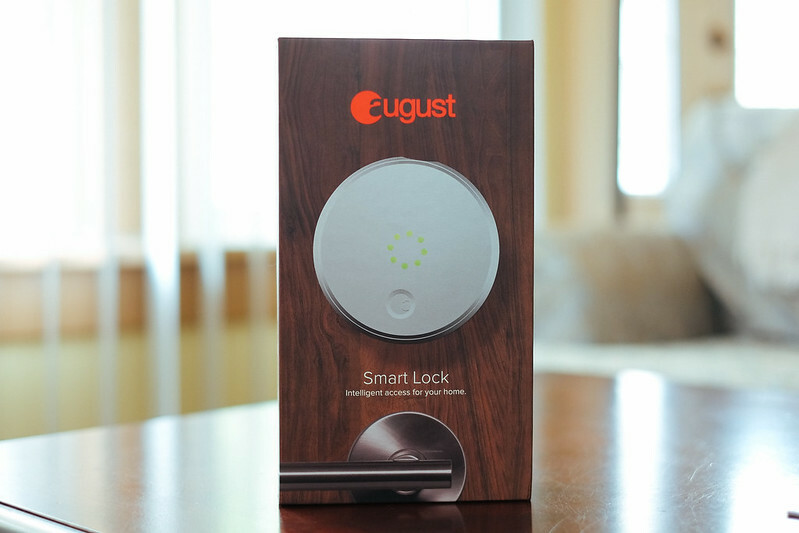 August Smart Lock will send notifications to your device when its status changes, such as when a user locks/unlocks or it auto-unlocks your door. The notifications for when a user locks/unlocks are inconsistent. Sometimes I get them; other times I don’t—I haven’t figured out the pattern (if there is one). It’s useful to receive a notification that it’s auto-unlocking your door so you know whether or not you need to get your keys out before you get to the door. 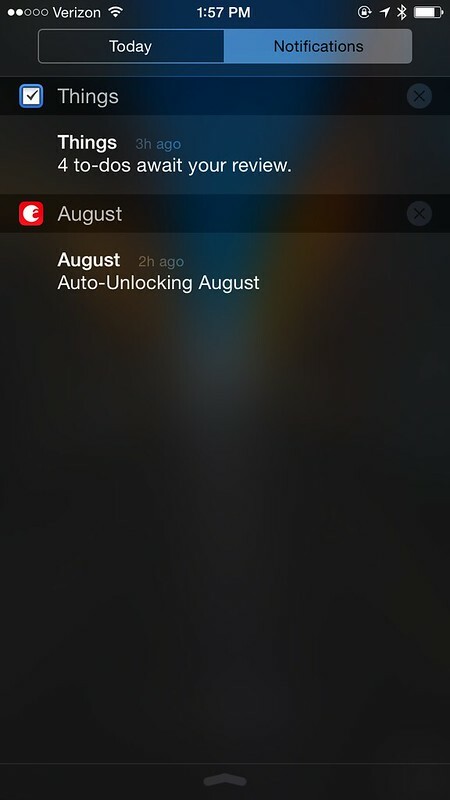 On iOS, you can also lock/unlock August Smart Lock from your lock screen by adding August app as a widget. Toggling either will open the August app and auto-trigger either one of those actions. If you have Touch ID enabled or a passcode, it’ll require you to enter it. It also assumes you’re locking/unlocking via Bluetooth, therefore it won’t work when you’re trying to control August Smart Lock remotely via August Connect. August Connect2 allows you to control your lock remotely using the August app as long as you have Internet access. It pairs to your August Smart Lock over Bluetooth and connects to your network over Wi-Fi. It costs an additional $49.99, but there are no monthly or annual fees. For more information on how it works, read my review of the August Connect. Apple Watch integration is minimal—it only receives notifications. My phone is usually on vibrate, and I don’t always feel it vibrating, so it’s more reliable to receive a notification on my watch via haptic feedback. 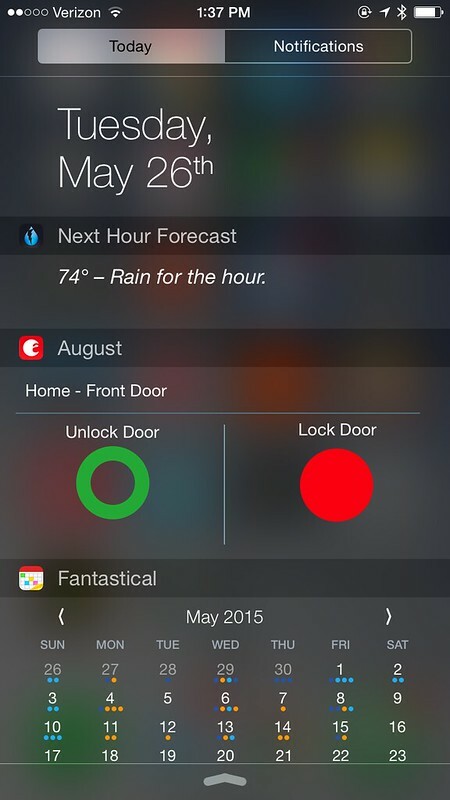 It’d be nice to lock/unlock August Smart Lock from the Apple Watch (my guess is that functionality is coming). 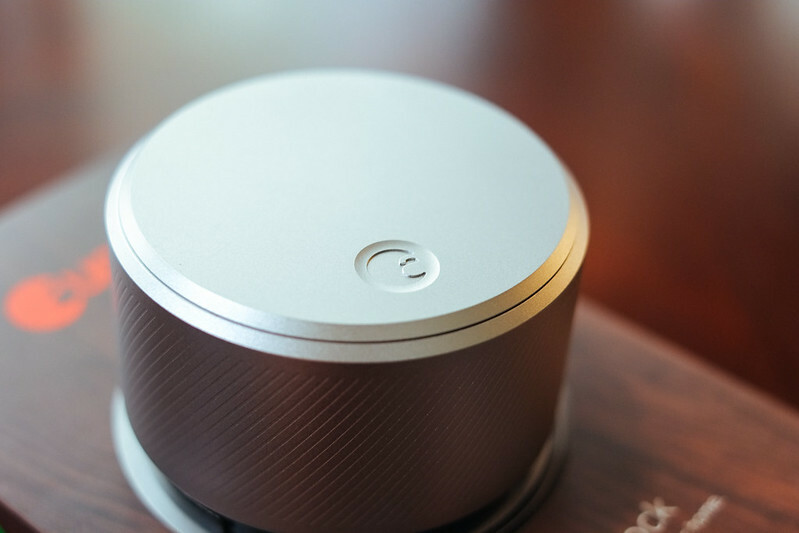 Designed by Yves Béhar, August Smart Lock is a gorgeous piece of machinery and an eye-catcher, but it’s also bulkier in person than it appears in photos—it sticks out 2” from the door and is 3” wide in diameter. Although it looks bulky in person, when turning it manually it doesn’t feel awkward and turns with ease, almost effortless. The face plate tends to become loose and falls off sometimes when you’re unlocking it manually (it may be just the way I’m gripping it, but the same thing happens to my wife). 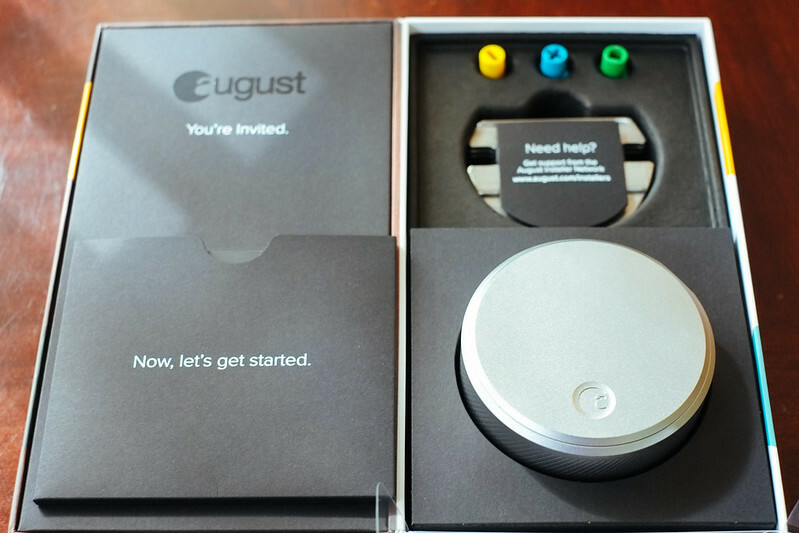 August Smart Lock comes in 4 flavors from you to choose from: silver, champagne, black, and red. An indicator light on the frontplate turns green when it unlocks and red when it locks—there are also accompanying sounds for each. When August Smart Lock works like it’s designed to work or like you’d expect it to work, it’s fantastic, and on paper the features sound great; unfortunately, in practice the integration lacks harmony and still needs work. Connecting to it can range from painless to utter and sheer frustration and resentment, and although my earlier experiences was more frustrating than not, August has made some major improvements to the lock and app that has made it a lot more reliable. However, when it doesn’t work or refuses to connect, it’s extremely frustrating—I still recommend you have a back-up set of keys around, just in case. When auto-unlock works, it’s amazing, like thaumaturgy, sorcery, magic. 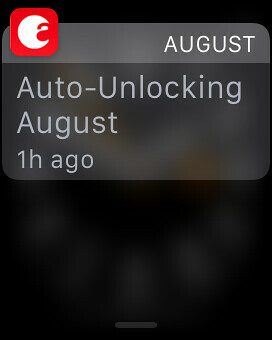 August’s updates have greatly improved the reliability of auto-unlock. It works about 90% of the time, although on rare occasions I’ll still find my door locked. I don’t use Everlock, but based on the very fact that auto-unlock isn’t perfect, I wouldn’t trust it to automatically lock the door behind me, especially when I’m leaving the house. Of all the available smart locks out there (like Lockitron, Goji, Kevo), August Smart Lock is still my preference and choice. Over the past 7 months, August has pushed several firmware and software improvements that have made August Smart Lock a lot more reliable, especially connection and auto-unlock reliability. Along with more improvements, I’d love to see it open up, and support and talk to more devices, ecosystems and services, such as Canary Home Security Device, Automatic and IFTTT. 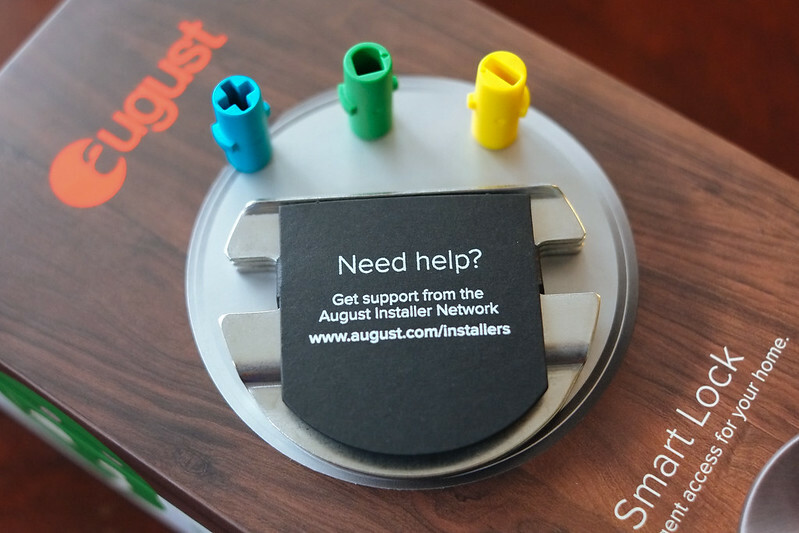 If you’re planning on getting the August Smart Lock, you may also want to consider getting the August Connect so you can connect to and control it remotely. It improves connectivity some by giving you a second way of connecting when Bluetooth isn’t cooperating, but the fact that it allows you to control August Smart Lock remotely makes it worth it. I’m not sure if I’d be as happy with my August Smart Lock if I didn’t have the August Connect. August Smart Lock costs $249.99 and you can order one from August.com, Amazon.com, Apple.com or at your local Apple store. August Connect costs $49.99 and you can order it from August.com or Amazon.com. Update May 25, 2015: August has made some big firmware and software improvements over the past few months, and they have made August Smart Lock a lot more usable and more reliable. Rating bumped up to 3.5.